Cooking, for me, is like writing. More than just a way of putting food on the table, it’s play: from visualizing a new dish off a recipe card to shopping for a tantalizing array of colors and flavors to actually transforming the textures and smells of the ingredients into a beautiful, edible finished product. I have a few staples that I make over and over for their yum value, but I really enjoy the discovery process of experimenting with new recipes. It’s a good thing, too, because I’m on the last three weeks of a 2-month gluten-free, low-glycemic diet (“paleolithic” for those interested), which my doctor ordered for health reasons. That means no flour products of any kind, almost no sugar, and limited amounts of any starch (brown rice, sweet potatoes, etc.). Fun, right? It’s been tough to keep coming up with new recipes, but at the same time, it’s challenged me to try some dishes that push the boundaries of normal. This week? Pumpkin soup. Normal was definitely pushed. I found the recipe in a stray copy of Sunset magazine. You can find it here (I skipped the pesto, though). The adventure started with the shopping. The Halloween pumpkins I was planning on using turned out to not only be the wrong variety, but were also all rotten and squishy on the bottom. Gross. Went to the store to buy a new pumpkin. While I was there, I also found a large nub of fresh ginger—something I’d never cooked with before! Threw it in the shopping basket. Next up: no coriander in the house. Mom thinks it tastes nasty. 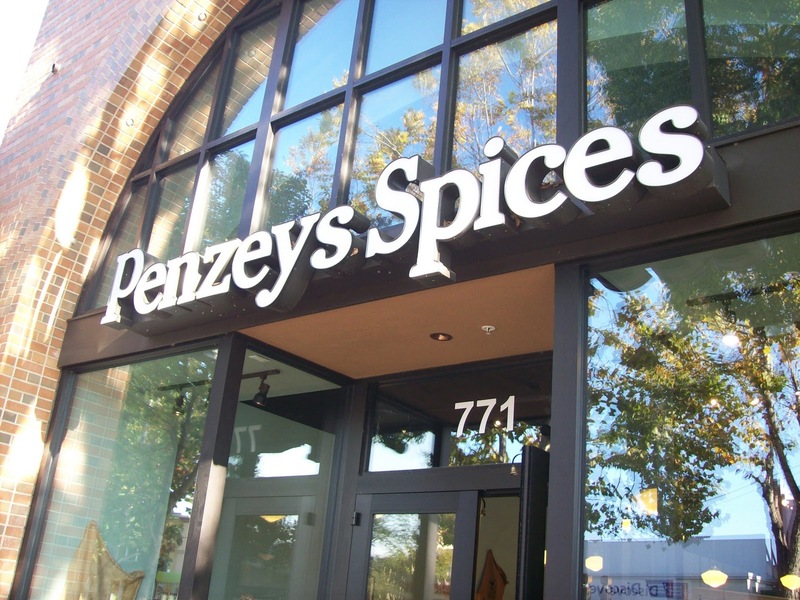 So last Saturday, I made a visit to Penzey’s Spices in Palo Alto with my gourmet friends Whitney and Jordyn. What an amazing place! I’d never seen whole vanilla pods or knew that there were four colors of pepper before. When we were done making ourselves sneeze on the wonderful aromas of lavender, cinnamon, and ground ancho chilies, I came away with a mix called Balti, which included coriander and more ginger as well as some less familiar names, like dundicut chilies, fenugreek, and charnushka (hope you don’t get stuck with those on your next spelling test). Assembling the ingredients felt like play, but the actual cooking felt like a long trek uphill: a bit like the writing process. It will be a long time before I attempt to peel and cube a pumpkin again. After an hour, I had a bowlful of misshapen orange blocks, but I also had a cramped right hand, two blunted knives and a peeler, and pumpkin shrapnel all over the kitchen. And I do mean all over. Not to be beaten by a squash, however, I began to sauté the onion and ginger. Lots of ginger. Having never cooked with this science-fictiony brown root before, maybe I got a little over-eager. What was I going to do with a bunch of leftovers, anyway? When the blended soup finally made it onto the table, the kitchen smelled great. That is, until the taste of gunpowder eliminated our ability to smell anything. All that ginger I’d gotten excited about? Plus the coriander-ginger spice mix? Whoops. Even yogurt couldn’t cool it down to safe levels. I must say, my family is one of the most patient and longsuffering I know. They courageously finished their bowls, and didn’t even throw them at me. But the remainder of the pumpkin soup certainly traveled with me to Bible study on Wednesday night, where the adventurous Jordyn kindly took it off my hands. I guess part of experimentation is making mistakes. When you try recipes that are off the beaten path, it’s a risk: not every one will be the next family winner, or even taste like human food. Some will be a constant circus of mishaps (e.g. : continuing to find flecks of pumpkin peel stuck to the window). But it certainly keeps life from getting boring. 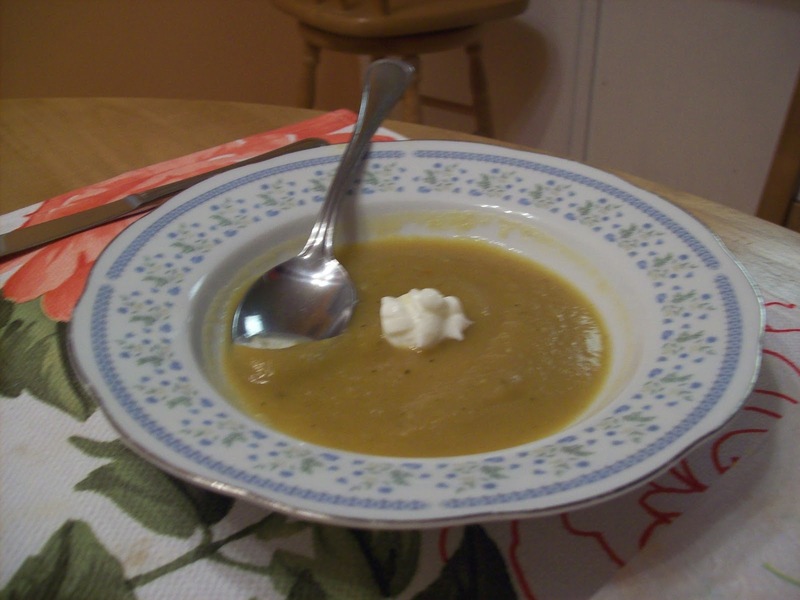 Maybe I won’t be making this particular pumpkin soup again, but I’ll keep playing with flavors and textures. It keeps me from getting stuck in ruts (and certainly beats airline tickets for budget adventures). And maybe creativity feeds more creativity: the day after my pumpkin soup adventure, I wrote the first words of Draft 2 of my children’s novel! What’s your latest creative endeavor? Successful or otherwise? I’d love to hear your story! Pumpkin carnage, huh? Well, I’m glad it got you going on your second draft. Ha, carnage is a good word for it. I even had a big knife in my hand for the part where I was chopping up the ridiculous orange thing. 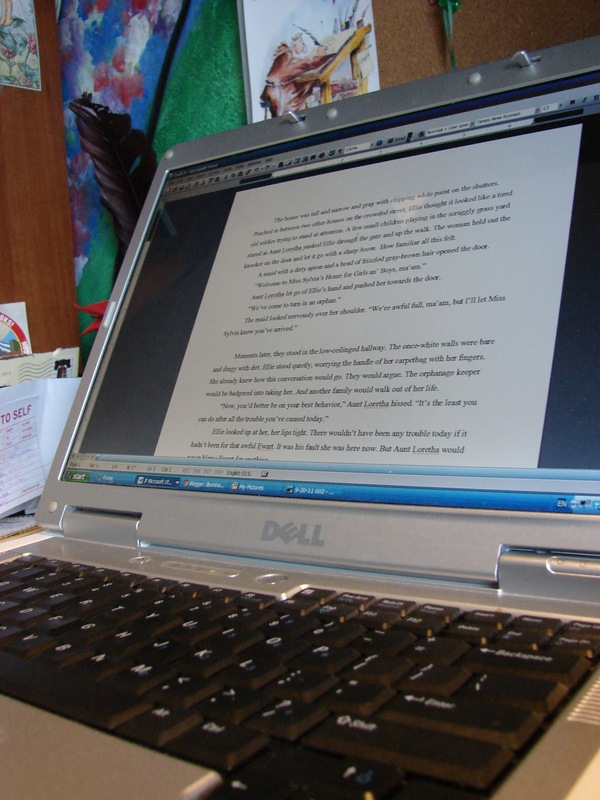 It feels so good to be writing again, though! Can’t wait for the next adventure!! (Cooking, writing…etc.). Maybe you can have good (& brave) friends like Audry try your next invention too…:)Creativity is such a precious gift–what a blessing to be able to savor it. I’m thankful to be involved in some of your adventures as well!